The sound of knocking at the door woke a teacher up at 5:30 in the morning. Girls were cold and couldn’t find the remote to get the heater on. (They found the remote under a pillow) Yes, they are learning how to survive in the cold weather. 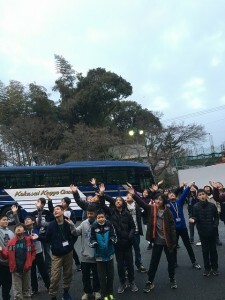 G6 students are so energetic and most of them were wide awake very early in the morning. As a treat, they got to see white snow falling down in the parking lot! 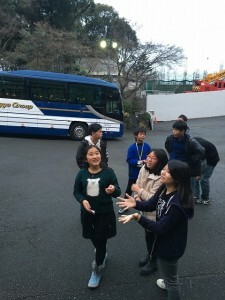 It was a really great opportunity for those Okinawan kids who had never seen snow! 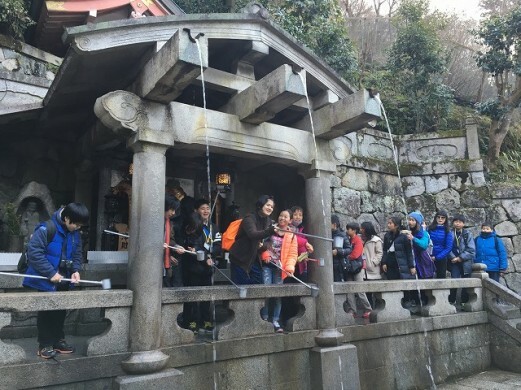 After the breakfast, we walked to Kiyomizu temple. There were only a few tourists then and it allowed them to enjoy enough sightseeing and shopping in the area. 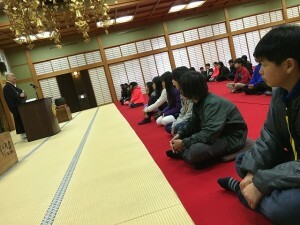 At Myoshin temple, students experienced Zazen, zen meditation. 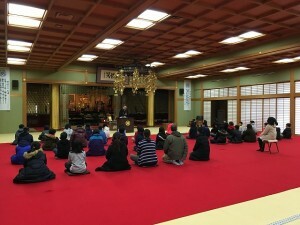 We had never seen G6 students in such silence while walking to the temple, listening to the monk, and experiencing Zazen in a tatami hall. 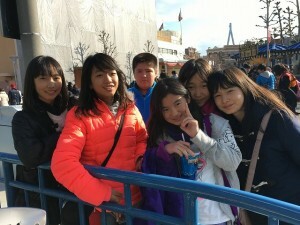 And the last and biggest event for them started in the afternoon, Universal Studio Japan! They started running to the rides and shops right after the dismissal call. 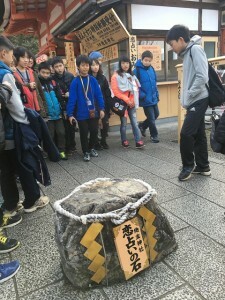 The kids definitely amused themselves spending free time with friends! 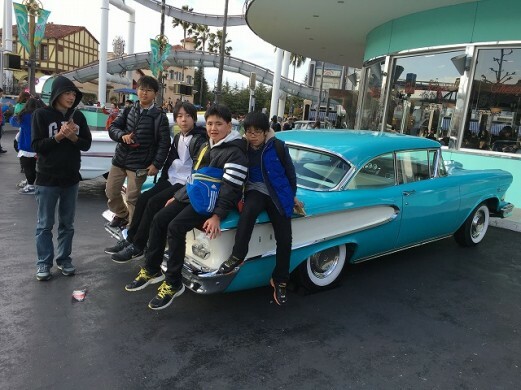 We’re guessing that it’s going to be a long fun night for them again, sharing their exciting memories from USJ.